doesn’t she wear the world well. and I want different from my grand daughter. A superb poet. Her poem ‘Home’ about refugees captures this time in history perfectly, painfully. PS Can the introduction to the audio be amended so that her name is correctly pronounced, ie ‘Shi-reh’? Shire was born in 1988 in Kenya to Somali parents. She later emigrated to London. 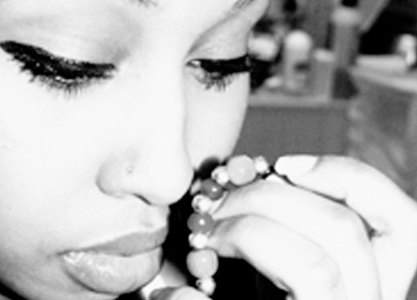 Shire thereafter began writing poetry as a way to connect with her Somali heritage and her roots in Somalia. Her verse first gained notice after her poem “For Women Who Are Difficult to Love” went viral. In 2011, she also released Teaching My Mother How To Give Birth, a poetry pamphlet published by flipped eye. Shire has read her poetry in various venues throughout the world, including the United Kingdom, Italy, Germany, North America, South Africa and Kenya. Her poems focus on themes of travel and loss, and have been featured in the Poetry Review, Magma, Wasafiri and the Salt Book of Younger Poets. They have also been translated into a number of languages, such as Italian, Spanish and Portuguese. In April 2013, Shire was presented with Brunel University’s inaugural African Poetry Prize, an award earmarked for poets who have yet to publish a full-length poetry collection. She was chosen from a shortlist of six candidates out of a total 655 entries. In October 2013, Shire was also selected from a shortlist of six young bards as the first Young Poet Laureate for London. The honour is part of the London Legacy Development Corporation’s Spoke programme, which focuses on promoting arts and culture in Queen Elizabeth Olympic Park and the surrounding area.